Wow!! It’s morning already…Winters make me super lazy, don’t want to wake up and so want to snuggle back and cover my face with a pillow. About 10 mins. later, i woke up to a pungent smell; jumped out of my bed thinking that my house help might have left the gas stove knob open, rushing to the kitchen I trip and fell on a shoe which my puppy was chewing on. Cursing the unknown, I get up to check the stove knob. It was turned off and I could still smell something ‘not good’. After, thorough investigation i realize my house is clean but needs to be freshened up. So, I decided to explore some options to refresh and make my home delightfully soothing and fresh. I tried the options listed below. 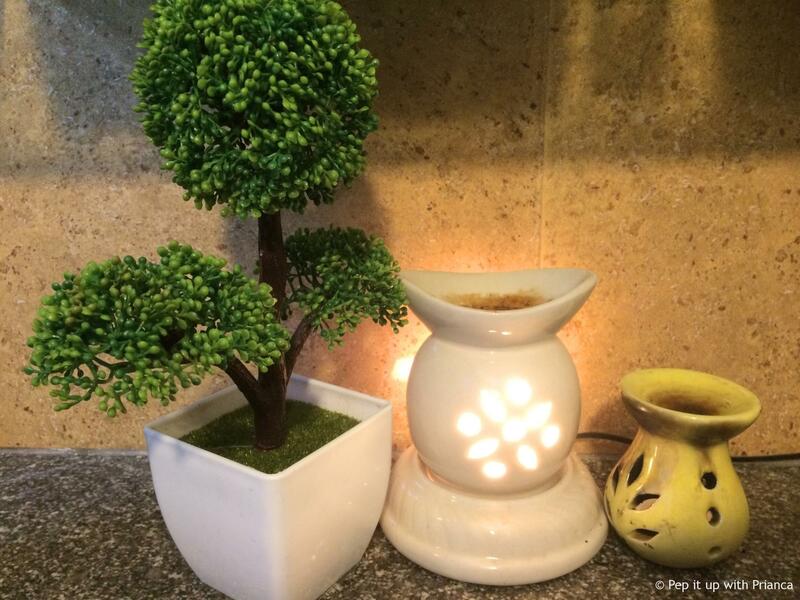 Sharing my personal experience and tips to add fragrance & give character to your house. I personally recommend the candle lit. The candle burns and slowly heats the oil diffusing undertone yet empowering fragrance which refreshes the house in just 10 mins. Whereas, the electric diffuser heats the oil and it evaporates quickly. 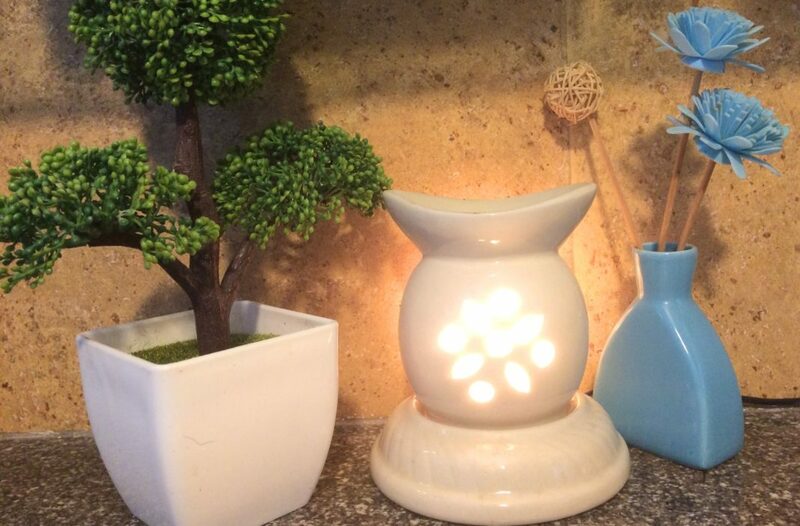 Candle Lit diffuser – Add few drops of essential oil on top of the diffuser and lite a candle below. Electric diffuser – Add few drops on top of the diffuser and plug it to the electric supply. It is a mixture of dried petals & naturally fragrant plant materials placed in wooden bowl or container to perfume a room. 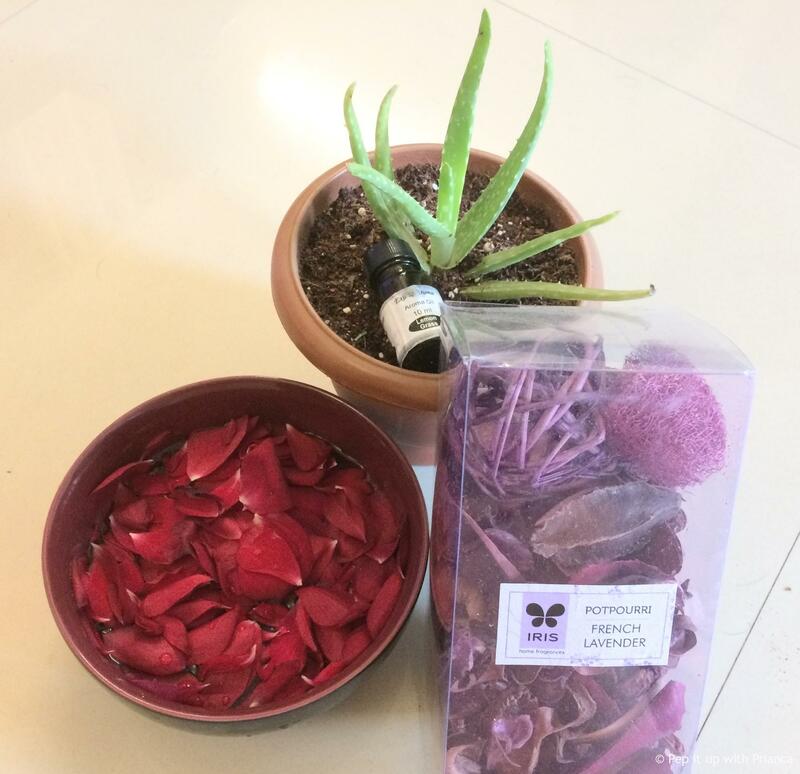 Empty the packet of potpourri in a container and add few drops of essential oil on the dried mixed spices and petals.Place the bowl on a centre table and in about 15 – 20 mins your room will smell fresh. My personal favorite are these little perfumed candle jars. They are too easy to use, just lit the candle and after use close the container. 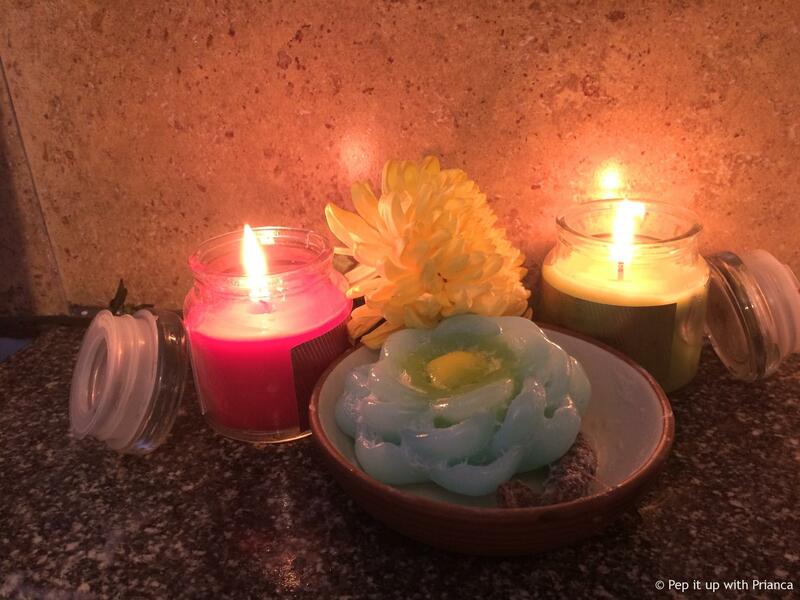 The wax used to make the candle is perfumed and so once burned, diffuses instant mood uplifting aroma. I picked them up while traveling from Family mart in Thailand. Place the capsules inside the pillow case and sleep. 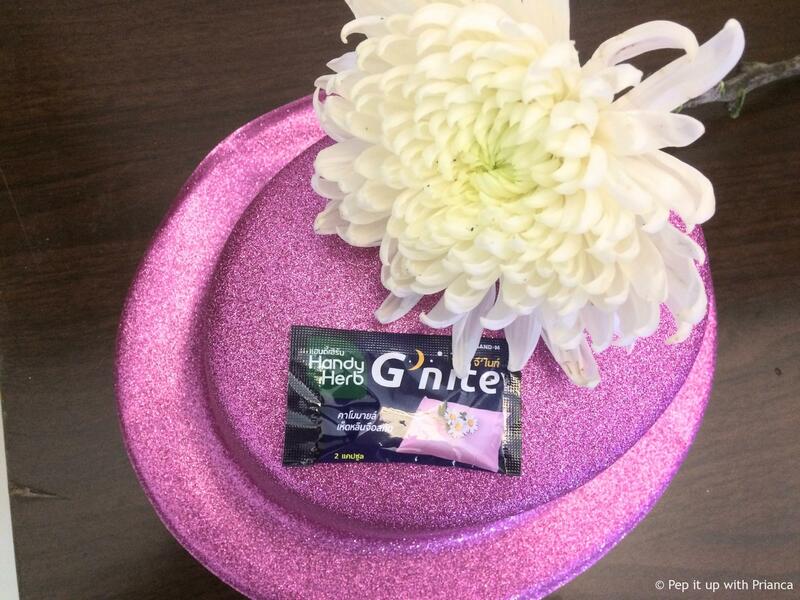 The capsules will infuse gently aroma and will aid sound sleep. One capsule lasts for about 3 nights. Nothing can beat the fragrance of fresh flowers in the house. So, i placed some beautiful roses in a flower vase. The flowers add color to the house and one feels happy by just looking at these beauties. So, beautiful people remember that fragrance is about sensation and can evoke good feelings, thoughts and love. Try these aroma therapies to instantly uplift your mood and rejuvenate your senses with a good smelling home.